Please post any bugs you find here so IGG can squash them. This happened to me and my team while fighting the demon in wretched gorge 3. We clearly killed it with about a minute and a half to spare but it said failure. It happened to me quite often, almost every day. Is it a server issue? Members of my guild have been reporting this issue to live support. Do it manually from the App Store? Hmm, they fixed the pet revive time reduction disconnection bug, but the exp from dungeons seems to be broken. The exp shown now is the original amount, not sure if the exp gained from pets % bonus is rewarded or not. Can't update the game, why? On the Iphone 5, the app is incredibly laggy, all my other apps work fine on my IPhone, its just castle clash, it works fine on my IPad. Only happened since the update. HBM bugged. Amazingly, costumer support says they detect "no abnormalities" in my photograph. 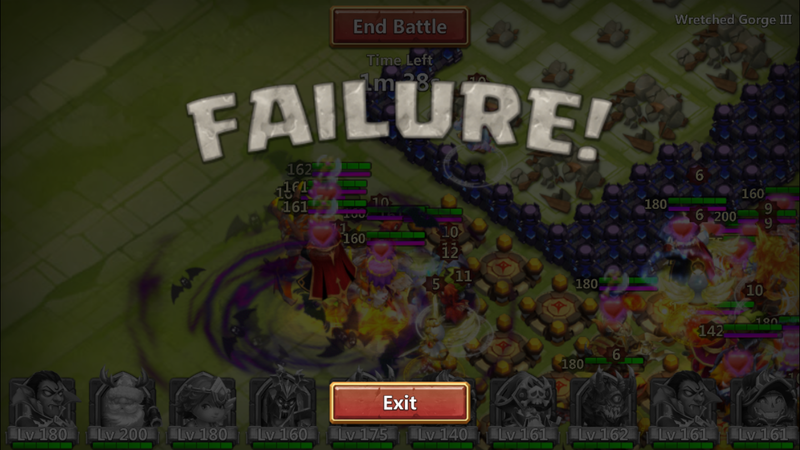 Apparently HBMs always end in failure with all heroes and buildings in place. You probably clicked on end battle without realizing. It happens to me all the time. This :-( Support keeps saying the same to a friend of mine who has reported this. They blame it on the device and internet connection. Naw, OShotz. Happened several times. And the phone was on a countertop. 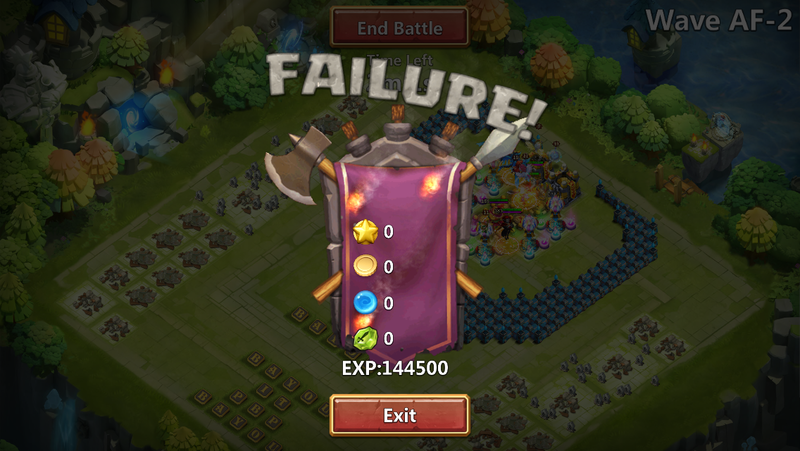 IGG in full denial mode for some reason. They should be saying, sorry and we are working on it. SMH. There are 1 more comments, click here to view them.